Live or work in Adelaide? Need professional Adelaide translation services that you can rely on? Too easy! Here at OPAL Translation, we specialise in translations for the people of Adelaide and can assist you with any job, no matter how big or small! There’s no wonder that we are ranked as Australia’s leading translation agency in Adelaide and have been providing translation services in Adelaide for over 5 years. What language do you provide Adelaide translation services in? In Adelaide, we provide translation services in all languages. No matter what language you need a translator in, we can help! Our Adelaide translation service is fully NAATI accredited and certified so you know that the quality is excellent and that your translation can be used for official purposes. We are happy to inform you that we can provide document translation services for any type of document that you have. We can translate documents as simple as birth and marriage certificates, right to technical documents such as operations manuals for machinery or advanced medical documents! Are your translators accredited by NAATI? Our entire Adelaide translation team are accredited by NAATI and work as professional translators. This ensures quality and professionalism. How long does it take to translate documents? Most of the translations we conduct for our clients in Adelaide can be completed within 2-3 business days but this entirely depends on the length of the documents. A 1 page certificate takes significantly less time to translate than a chapter of a book! Contact us and send scanned copies of your documents or attachments of your files and we will conduct an assessment of your documents to ascertain the length of time required to translate them. There are many documents that are classified as standard documents which are eligible for a standard rate, such as licences, birth, death and marriage certificates, police checks and clearance certificates, and diploma and degree certificates. Send us scans of your documents to check whether they are eligible for standard document pricing. If your documents are not standard documents, we will provide you with a quote for the cost. Simply send us scans of your documents via our online enquiry form. 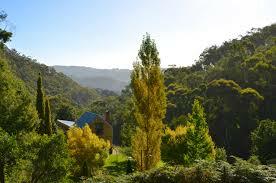 Adelaide is dubbed as the city of churches filled with beautiful sceneries and rich history. Here are some fun facts that you may not know of about this interesting city. Originally, the Kaurna aboriginal peoples inhabited the Adelaide Plains. 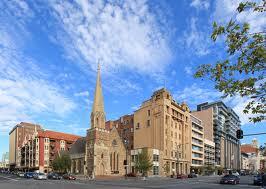 Adelaide was called the city of churches because of the magnificent churches boasting beautiful architectural designs. The oldest one is the Holy Trinity Anglican Church built in 1838. Wild dolphins live near the city’s metropolitan area. An estimated 300 dolphins visit the Port river just 20 minutes away from the Adelaide CBD. The O-Bahn in Adelaide is one of the two O-Bahn’s in the whole world. It is a specialized purpose-built truck used by normal buses. Are you in need of an Adelaide translation services today? You’ve come to the right place! OPAL Translation is one of the leading translation services provider not only in Adelaide but also around Australia. Contact us today using the Live Chat below so we can assist you with your translation needs. Our customer service representatives are available 24/7 to help you. Want a free quote? Simply complete the translation quote form below to get a firm quote on your translation needs in under 15 minutes!